There is just something about lemon cake desserts that make people smile, and these cupcakes are no exception as they are both fun and elegant at the same time. Once cool, top the cupcakes with dairy-free frosting of your choice. Preheat the oven to 350 F. Line a 12-cup muffin tin with cupcake liners and set aside. In a small bowl, mix together the soymilk and lemon juice and set aside. In a medium-sized mixing bowl, sift together the flour, baking powder, salt and lemon zest. In another bowl, using an electric hand mixer at a medium speed setting, cream together the soy margarine and sugar until fluffy, about 3-4 minutes. Add the eggs and beat until incorporated. Switch down the speed to low and add in half of the dry ingredients, beating until combined, followed by the soymilk mixture. Add the remaining dry ingredients and mix until just combined. 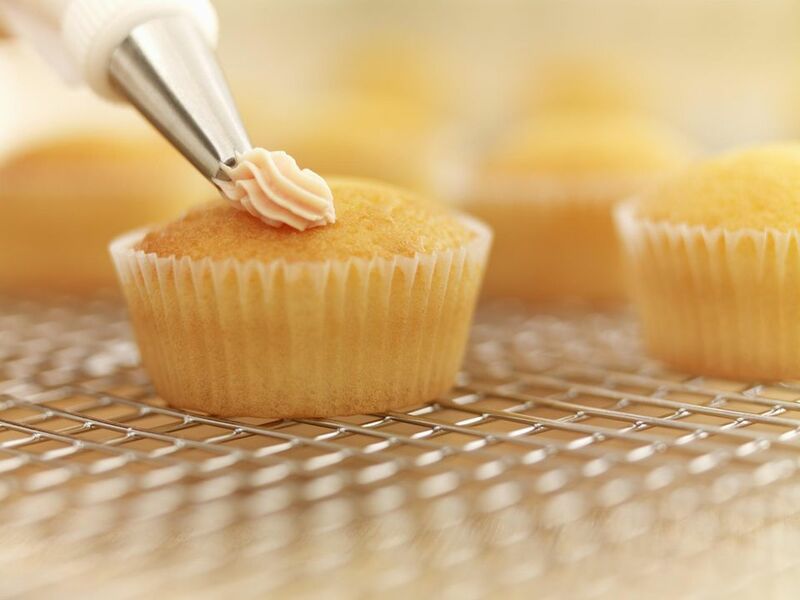 Pour the batter into the prepared cupcake cups and bake about 20 minutes, or until a toothpick inserted into the center of a cupcake comes out clean.